I've finally got it. The name of the street at the side of the palais is Williamson St it's stuck on the wall at the side of the Empire on the Google maps It.s a car park where the grotty toilets used to be. Thanks Bill, for once I think I know where I am!!!!! 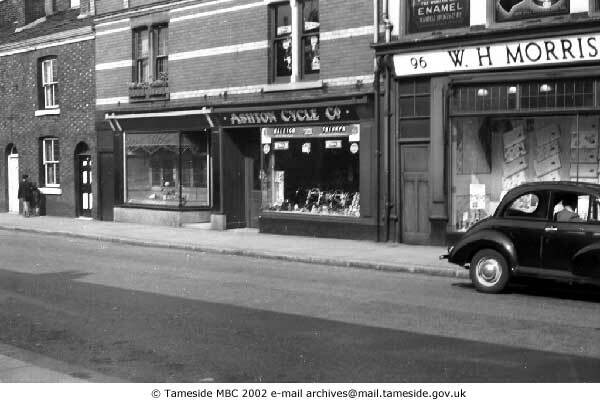 The shop with the baskets (blue) outside, did it used to be a wallpaper shop owned by someone called Alma & Baz Beeley? I think I have the name correct! The Library looks so different, has it been sandblasted because it looks so clean and bright? 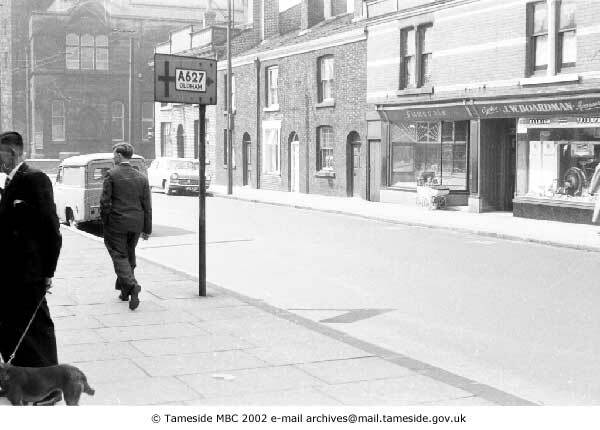 I think across the road from the shop used to be a ladies millinery shop owned by Rose Wallwork, a little further down was a toffee shop. 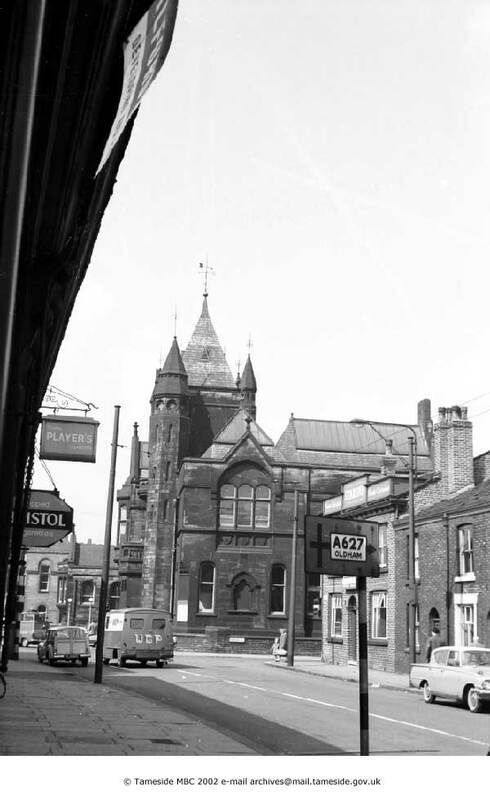 Did not realise they had demolished the Pavilion, what about the Salvation Army Citadel which was next door to it - is it still standing or has it gone also? On the right hand side, the 'blue awnings' place next to the Pavilion is a fitness centre, next is a wallpaper shop and the next two properties (knocked together) are an Age UK charity shop (used to be Age Concern). Why not let Mr Google take you on a stroll down Old Street starting here? Move your mouse to the bottom of the view until you see a couple of white arrows and then click on the arrow pointing upwards. P.S. the Pavilion is still there and is now a furniture outlet. The Salvation Army building is now an extension to the furniture place. P.S. 10°C in my kitchen this morning. If you click on this link, it puts you on Old Street looking down towards the Gaumont. If you then click on the little cross in the top right hand corner of the view (Exit street view), it gives you a map of the area with all the street names on it. Using the compass thing in the top left hand corner of the map, you can travel north, south, east and west of where you are on the map. 17 here in my family room.-25 overnight outside.Yesterday my sons pipes were frozen.Not spoke to him yet but he had a major reno a couple of years ago,must have something to do with it. I've done a bit of rooting and think your in-law's house was a bit further down towards the Star. The Star is No. 108 which makes 102 the house next to the shop with the pram in front on this picture. Taking up Danny's point about sandblasting, it's hard to imagine that most buildings were the colour of the library in this picture. Just for the record, I'd completely forgotten about Jones's music shop. All pictures from Tameside Image Archive. Bill, Thanks for the photos. 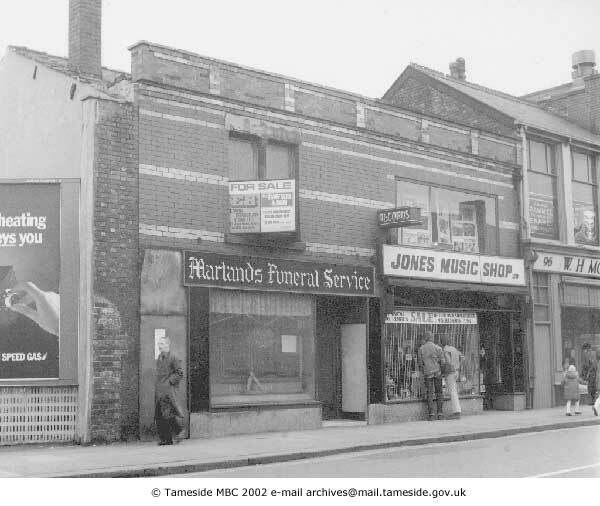 I guess the photo of Jones' Music Shop was in the late 1960s or early 1970s (going off the gear the two lads are wearing). I remember their previous establishment on (Bow?) Street - opposite the open market. I still have one of their (paper) record packets upstairs with the remnants of my guitar strings and pitch pipe inside - all that I've got left to remind me of a promising recording career (who says?) that never quite took off. The picture with the car on the right hand side of the road, Albert, looks like a Ford Anglia. Rather than 1950s, I would suggest early 1960s for this one. In about 1963, we drove back up the East Lancs rom City's FA Cup game at Goodison Park in a friend's Ford Anglia. The fog was so dense the driver was unable to see any road markings and we had to follow the rear lights of the car in front. After a mile or two, we realised that the car in front had disappeared and, at this point, to our horror (and I kid you not) we drove up to a five bar gate - we had left the East Lancs about half a mile back and were about to enter a farmer's field. Glad to get home that night. He should have Mike Holmes check it oot. I do remember those 3 houses on Old St. so we are going back a bit, early 1960's. I see the Star Inn has a Boddington's sign on it. Where is the beer brewed now? I know the cans come from Wales, 'Cream of Swansea or summat"
Thank you so much for the photographs. Bill, I love the one covering the Old Market Stalls, George and Dragon, Reporter Office and of course Joness' Music Shop. Lovely surprises everyday!! S-O-N Stamford School went down a treat also with the other half! Wonder how much the 'Busker" will rake in? ? ha ha ha Hope he makes enough to turn the building into something worth while. Looks a bit jaded now don't you think?